A quick overview of the Chat Box. The Chat Box will be your primary touchpoint with Attendees! All Attendees will have access to the Chat Box and have the ability to send messages. The Chat Preferences will determine exactly who is allowed to see any messages sent by Attendees, but Admins (Hosts/Coordinators) will be able to view all chat messages sent. 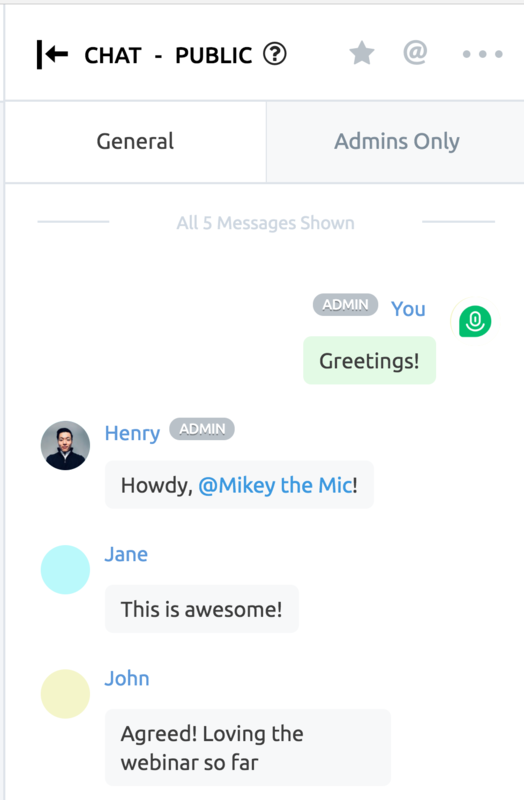 The Chat Box will automatically outline which users are Admins, and which are Attendees. 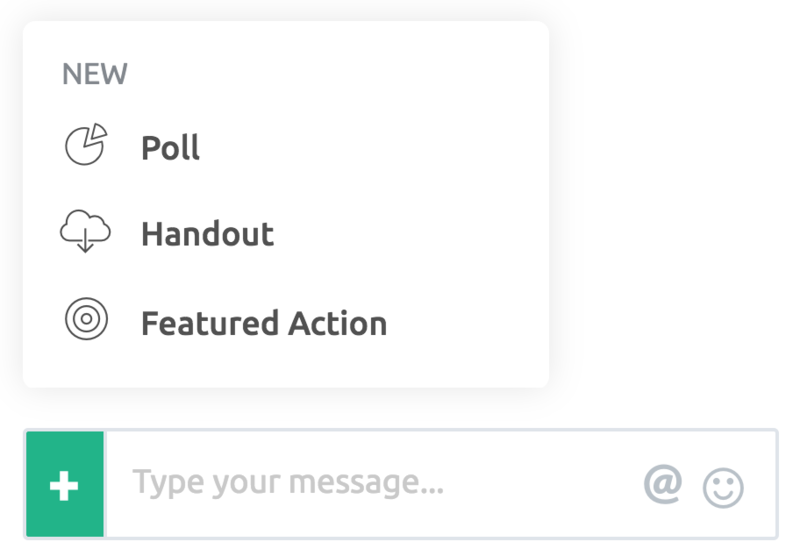 By hovering over a message, you're shown a few options you can use to act upon each message. You can also select an Attendee directly from the Chat Box by clicking on their name. 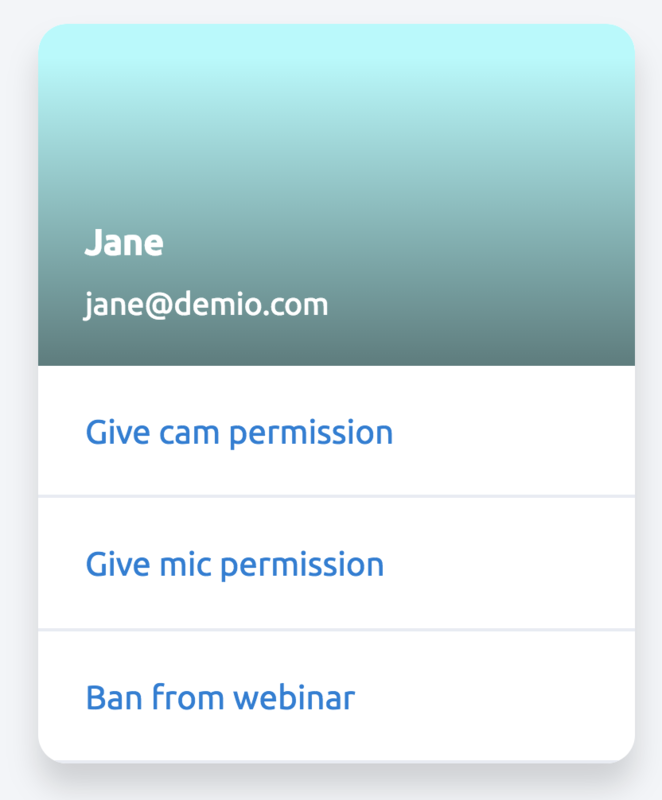 Doing so will open a info card with a few options, including the option to give/revoke webcam or microphone permissions, as well as the ability to remove them from the webinar altogether. 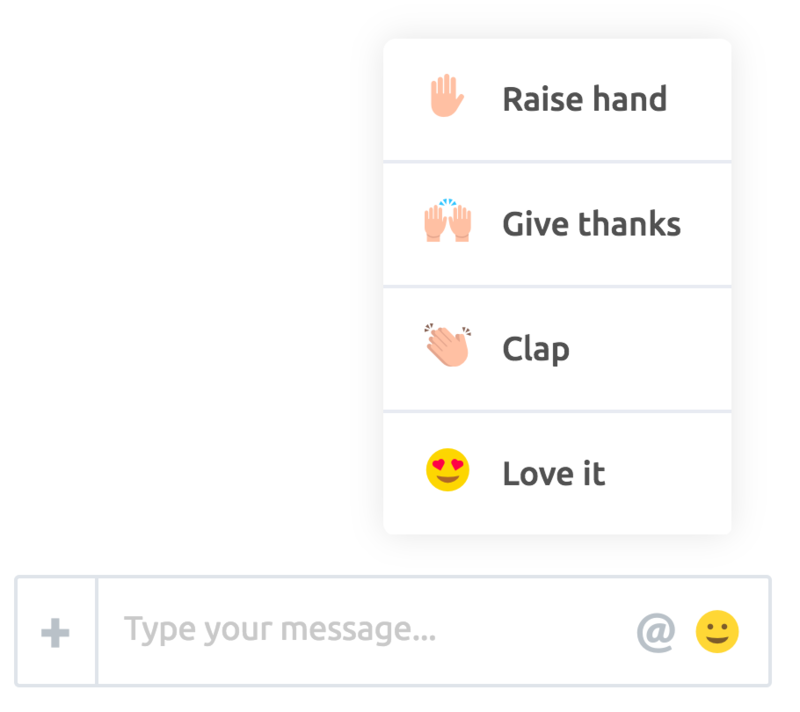 The Chat Box also allows you the options to share Polls, Handouts, and even Featured Actions with your Attendees. With each of our options, you have the ability to Save the option for later, or Share Now to have it instantaneously sent on the fly. Since everything you set up in the Webinar Room will be saved (even if you leave the Room afterwards), setting up any actions before your webinar is scheduled to start is a great idea! Using the @ icon located in the Chat Box, you have the option to direct message any Attendee or Admin. You also have a few Reactions that you can use by selecting the Smiley Face. It's a fun way to share how you're feeling with everyone else! 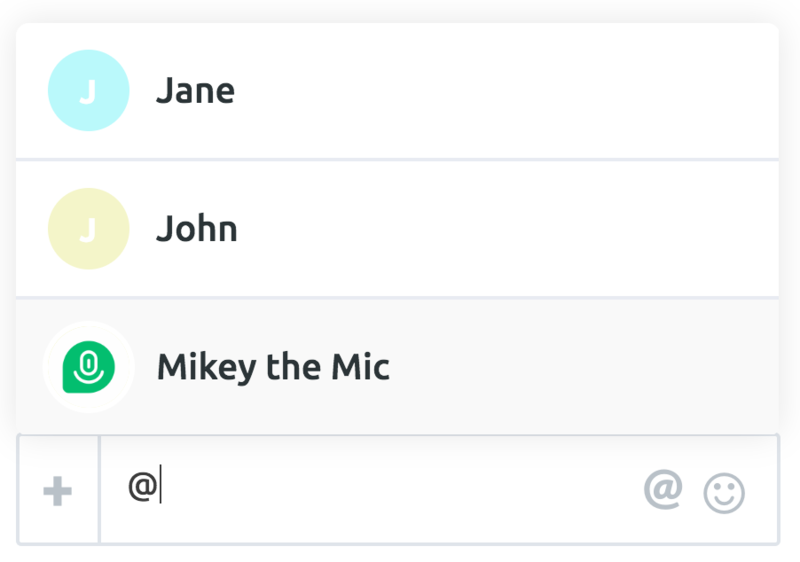 Near the top of the Chat Box, you'll find two options that allow you to filter messages, making it easier to find and keep track of any important messages. The Star will filter out any messages that you've starred. This is a great way to mark messages as important. Since you're also able to un-star messages at any time, you can use this to unmark them once they've been addressed! The @ will filter out any messages that you were tagged in. This makes it easy to make sure you can monitor any messages that are meant directly for you. As an Admin, you'll notice that you have access to two Chat Tabs—one for General and another for Admins Only. The General chat room is the global chat area where you can interact with your Attendees whereas the Admins Only will allow you to communicate directly with the other Coordinators!